An economical and timely solution used in warehouse operations to help stabilize pallet loads while moving inventory within the warehouse. Can be used as a replacement or supplement to stretch film. 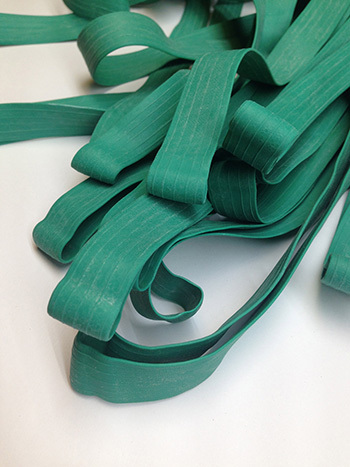 As the bands are reusable, they eliminate waste and the need to recycle used stretch film. 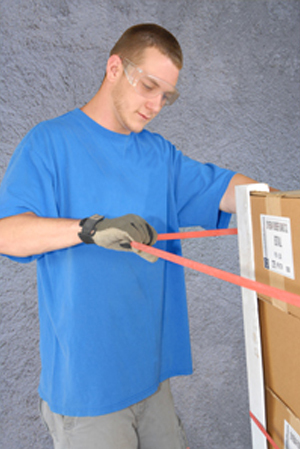 The first measurement listed is the inside circumference of the pallet band. 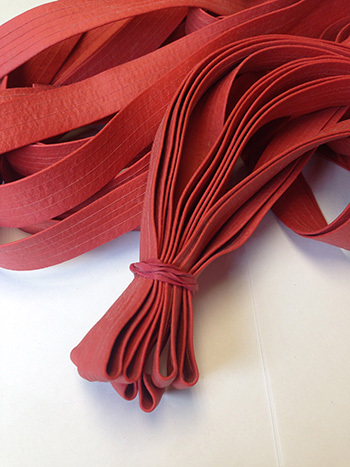 Used primarily by the Moving Industry to secure blankets to furniture and to secure appliance doors while in transit. They are used by other industries as well – anywhere large objects need to be secured. 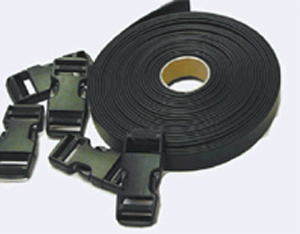 Affordable strapping material for heavy duty outdoor projects and sports. UV/ozone and extreme temperature protection.